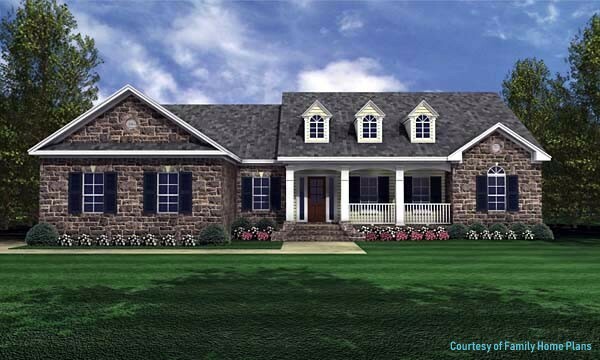 Finding a variety of great ranch style house plans online makes it easier to discover your dream home. 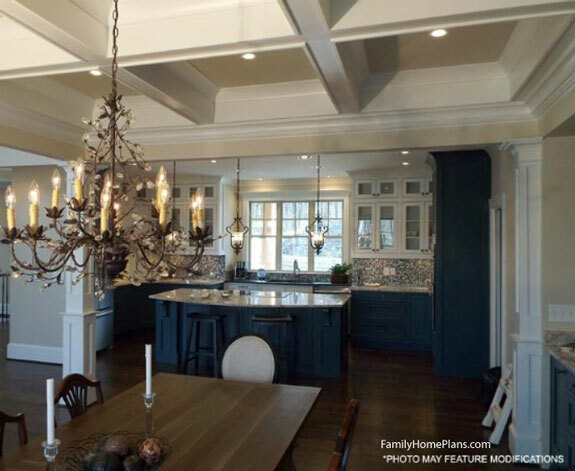 Ranch homes offer the distinct advantage of having everything you need on one floor and styles have progressed greatly since its popularity after WWII. 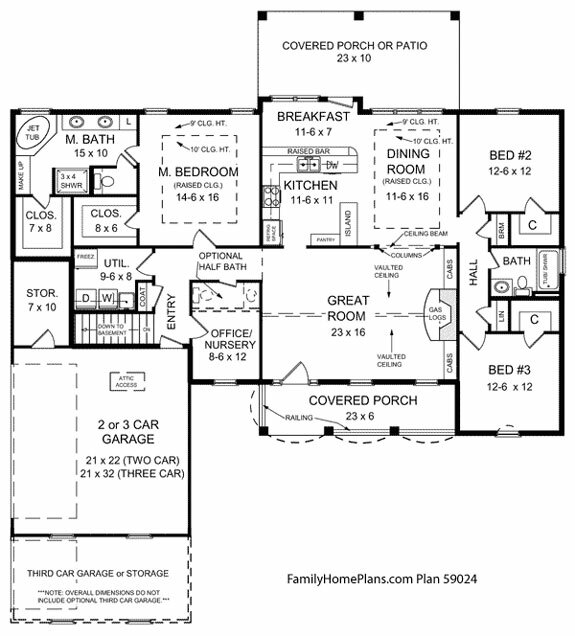 We've found some interesting and exciting plans online from Family Home Plans that Mary and I are sure you will enjoy discovering. 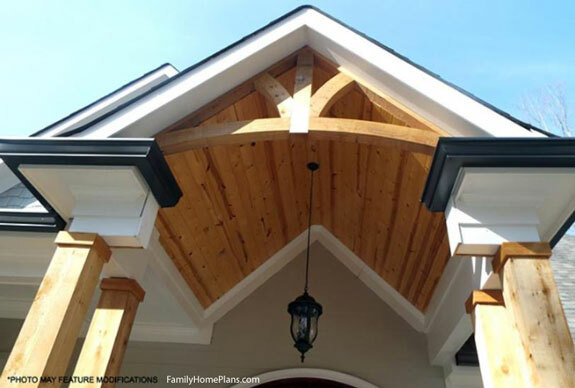 Although simple in design, roof styles vary making ranch homes interesting and of course, perfect for porches! 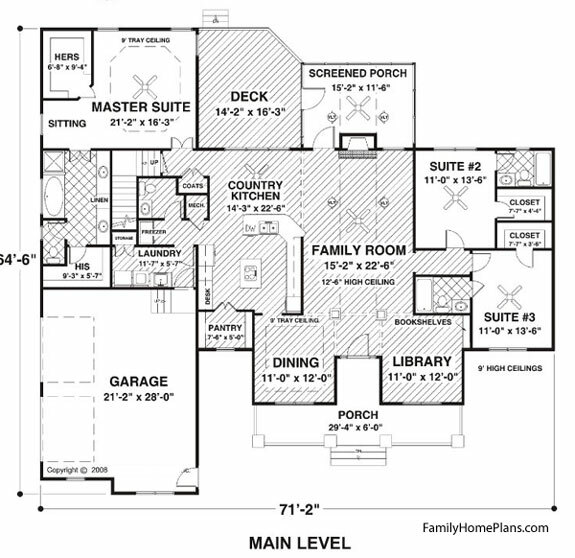 Here you'll find an assortment of ranch style house plans and floor layouts along with a video and pictures to help you find the ranch home plan of your liking. 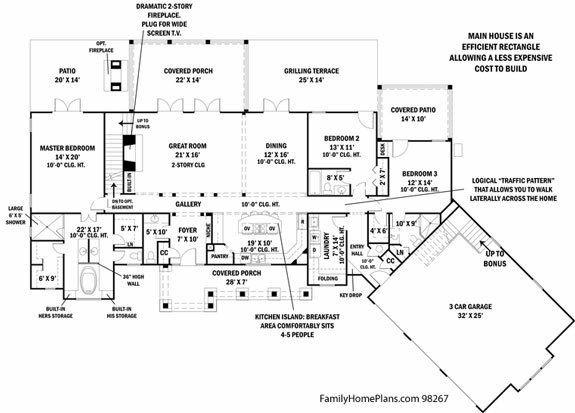 Everything is on one level except the bonus room. 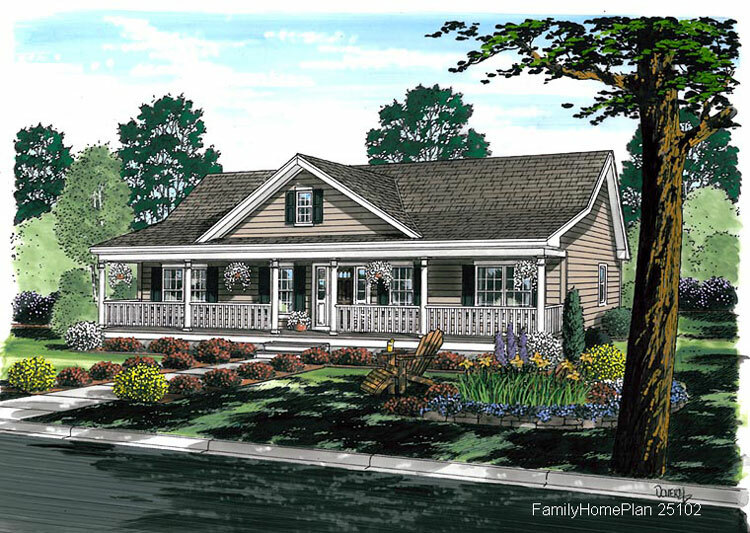 The expansive front porch is ideal for relaxing or entertaining. In addition, the open floor plan with a beautiful kitchen and 8 foot long island makes for very comfortable living space. 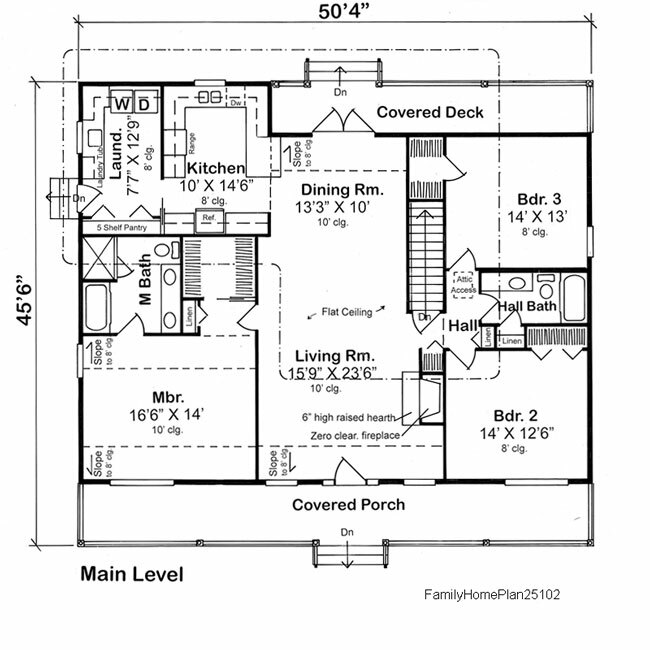 Ranch home plans are one-story house plans and typically range from one-story square to rectangular, L shaped, or U shaped designs. 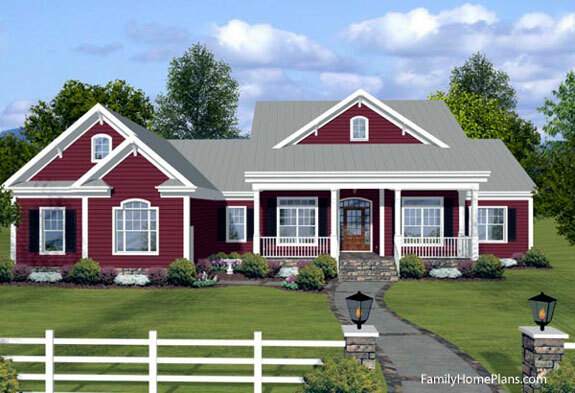 It should be noted that although less expensive to build than other house designs, ranch homes tend to have a larger foundation and roof area which can increase the comparative cost to other home styles. Ranch homes remain very popular and have a unique history in the U.S. having created affordable housing for many. 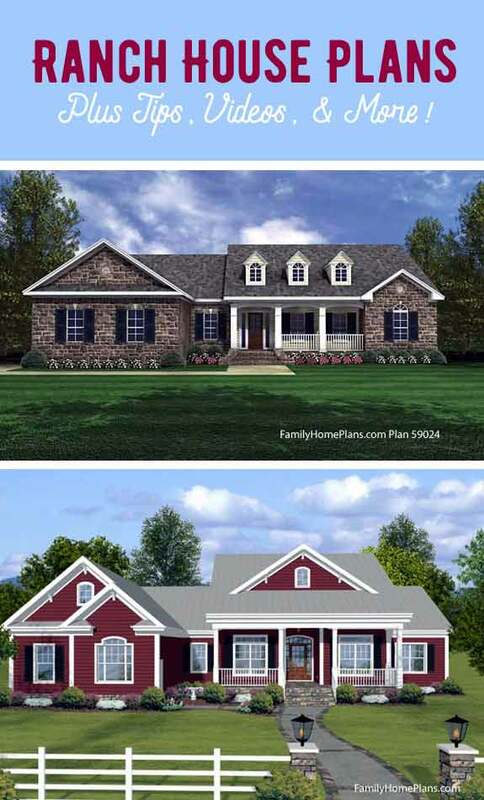 Here are a few of our favorite ranch style homes; click on the photo or link for more detailed information. 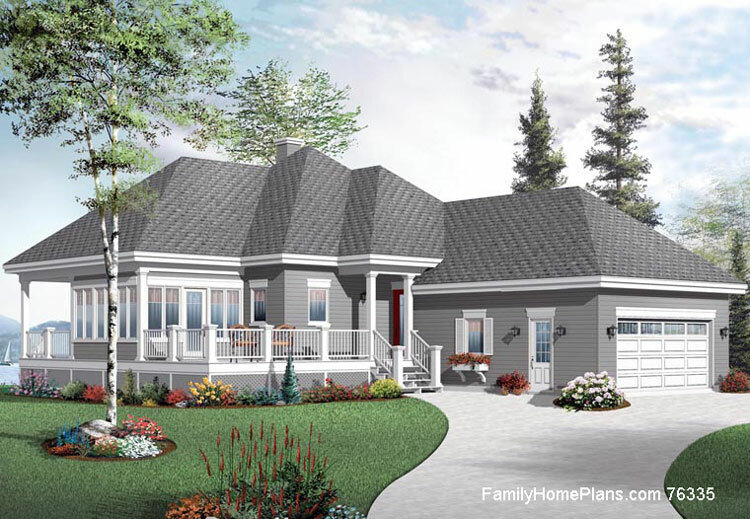 This ranch house plan has what we call a patio porch which adds lots of appeal and great outdoor living space. Note the wide front steps that make the exterior entrance appear more grand. 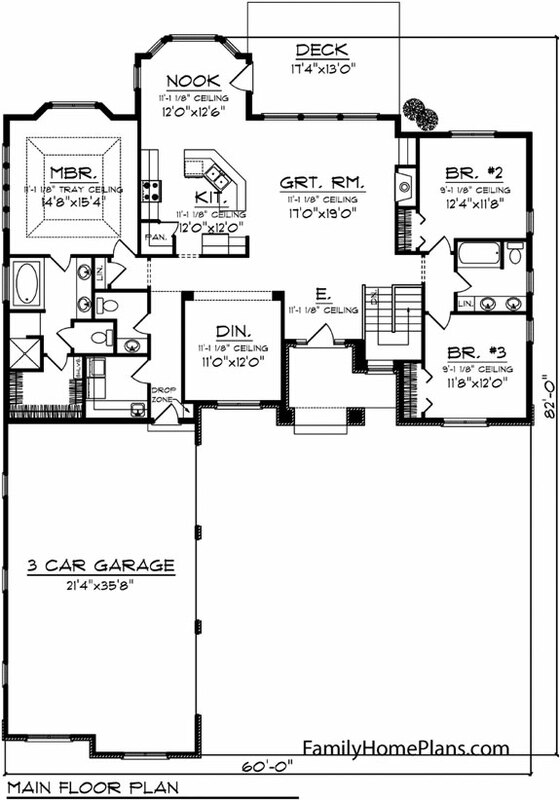 Note how this plan maximizes all useable space the and spacious utility room. Even includes space for a home office. 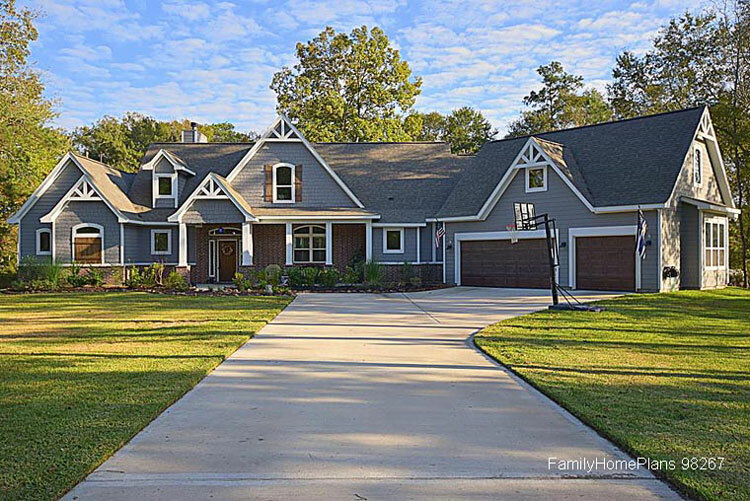 This country style "ranch" home with inviting front porch offers plenty of exciting features. If the country kitchen, screen porch, large family room, and awesome master suite weren't enough, you also get sitting areas in the master bedroom along with magnificent cooking island in the kitchen. There's nothing quite like the charm of an expansive front porch just waiting to be decorated for holidays and other family events; this ranch style home plan fits the bill. A wonderfully large front porch and over 1800 square feet of living space. 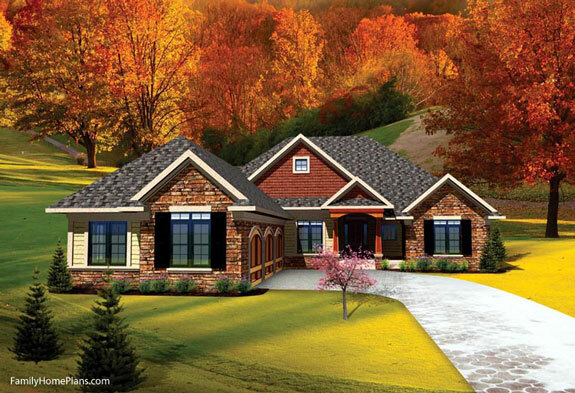 We like the look of this more contemporary ranch style home plan. Although it doesn't have a large front porch, the home has an appeal all of its own.